Destination Dakar: what can you do there? Over the summer some friends of mine and I decided to cycle from London to Lagos. Although we only made it to Sierra Leone as it started raining (monsoon season), along the way we had some amazing experiences and were constantly enthralled by the diversity of West Africa. In the beginning (Southern Morocco, Mauritania) we were mostly cycling through arid and beautiful desert landscapes. This was all to change when we hit Senegal where desert gives way to luscious bush, and rare human encounters give way to the bustling mega city that is Dakar. As we cycled into the city, down through the peninsula, the first thing that we noticed was the colossal African Renaissance Monument towering proudly above the city. If you’ve not seen or heard about this monument you should look it up. 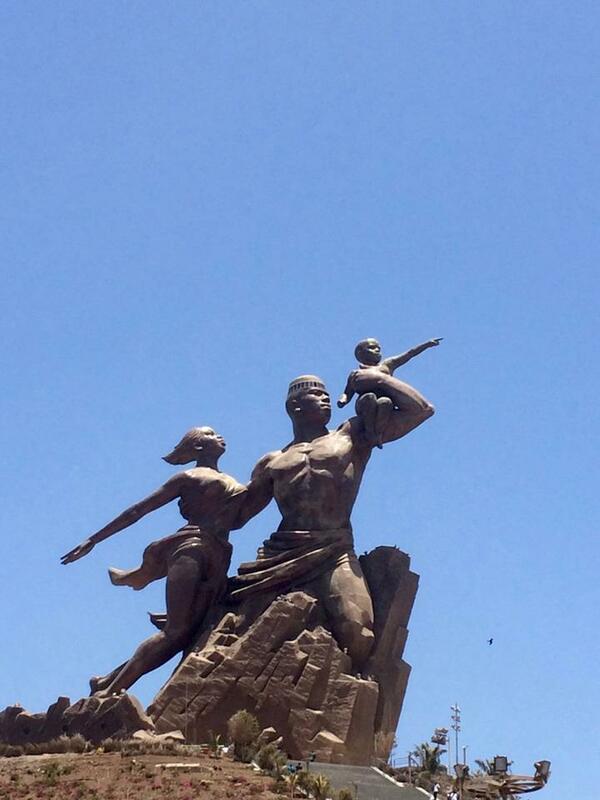 It is the statue of an African man boldly looking and pointing to the future whilst embracing his son and his wife. It is very powerful image, and all three figures look strong and fully ready to make mountains move. It is of course, a metaphor, and being called the African renaissance suggests that West Africa is ready to rediscover a time when it was once great again (as perhaps colonial history refuses to remember). With this image in mind, and as we kept cycling deeper into Dakar, I felt as if this was somewhere I could stay for a very long time. As a brief description, Dakar is a cosmopolitan city pinched on a small peninsula jutting out from the mainland. The central Place de L’indépendence is the beating heart of the city (although there are many areas) and comprises a glorious square and fountain surrounded by large white apartment buildings, which have unsurprising semblances to French cities like Marseille. Nearby you will find all the museums, the financial district, the port, cafés, the main shops, large hotels and things like the ECOWAS Bank. As you wander round the bustling streets, you will no doubt smell the fragrance of Café Touba (a delicious street coffee), you will be surprised at the range of things on offer to do, and you will find an outdoor café, bakery or bar to sit and watch all manner of businessmen, hawkers, university students and tourists go by. So what would I recommend you do in Dakar? 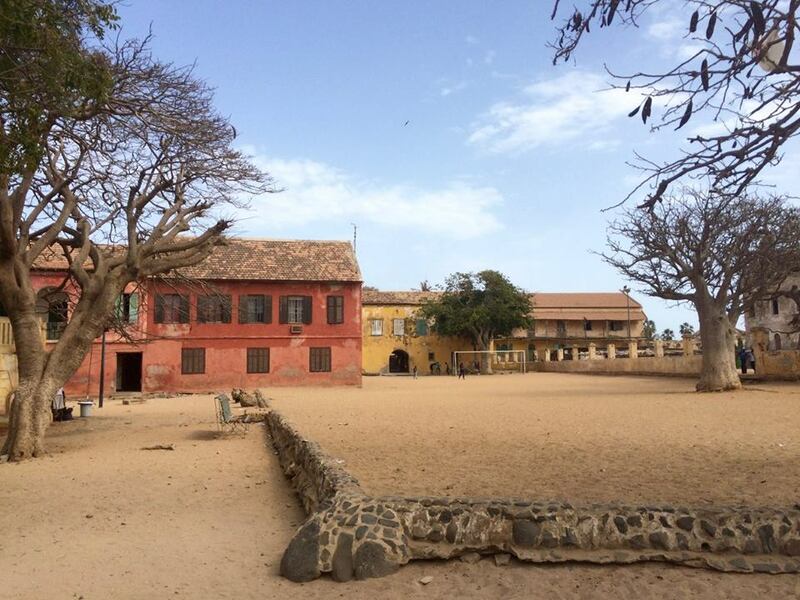 The Ile de Gorée; a small Island just off Dakar that was used as an administrative centre for the French, as well as a slaving station. This beautiful island is just a short boat ride away from Dakar’s central port. When you arrive you are met with wonderful crumbling colonial architecture, small streets paved with shells and laughing children, and proud Baobabs taking up pleasant squares. Not to be missed is a walk up to the top of the hill which boasts excellent views of Dakar and the bay. Plage de Yoff. If you follow the coast road North up and up, past the Renaissance statue and round, you will be in a very different, more local part of town. This place is called Yoff, and is a large beach brimming with activity. From bars, to restaurants, to surfing, to playing football with the locals, it’s an excellent place to spend some time and many Dakarians find it more chilled than the centre of town. If you retire from the beach, there are loads of cafes and restaurants ranging from Spanish to Senegalese and everything in-between on the route de la corniche ouest and the route de l’aeroport. It is also where expats and locals like to party at the weekends, and there many places, such as Le Balajo to hear live music. So what is Dakar? Dakar to me, was a place to both thrill your senses as well to relax and unwind. As the capital of Senegal it has long been an important and influential city along the West Coast of Africa and should definitely not be missed.